It borrows ideas from many slide rules including the Aristo 0972 HyperLog, Pickett N3 and N4, Hemmi 260, Flying Fish 1003 and the Keuffel & Esser Deci-Lon and KE-Lon (Deci-Lon’s intended successor, never produced), as well as the original insight here and there. Had it not been for the HP35 electronic calculator, it is very likely that similar slide rules would have appeared during the late 1970s. 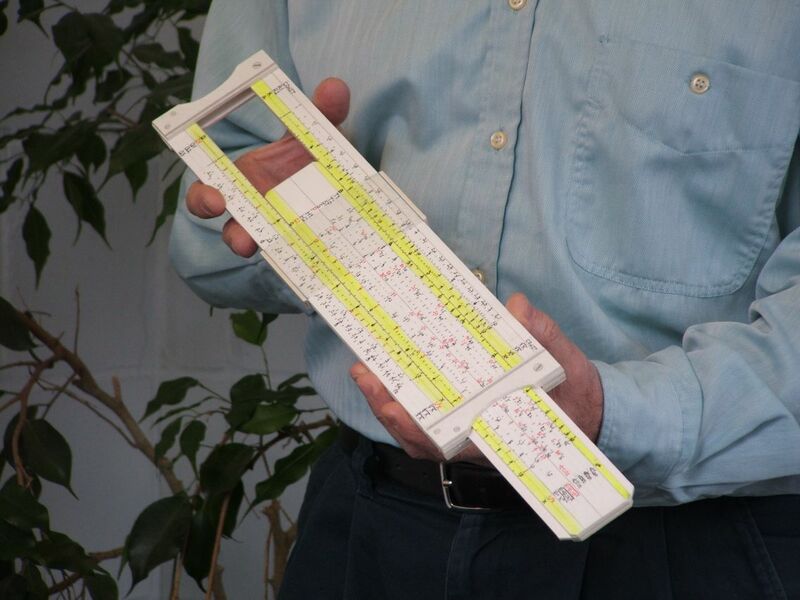 The UltraLog is the proposed design of what I believe could become the most advanced general engineering slide rule ever produced. It borrows ideas from many slide rules including the Aristo 0972 HyperLog, Pickett N3 and N4, Hemmi 260, Flying Fish 1003 and the Keuffel & Esser Deci-Lon and KE-Lon (Deci-Lon’s intended successor, never produced), as well as the original insight here and there. Had it not been for the HP35 electronic calculator, it is very likely that similar slide rules would have appeared during the late 1970s. I am convinced that some 500 slide rules could be produced and sold at not much more per unit than what collectors are already willing to pay for an ‚as new‘ Deci-Lon or a Faber Castell 2/83N for example. The following pages describe the UltraLog and the emerging project that will turn it from a vision to a reality.